Found Your Favorite Vehicle In Our Fleet? This Chrysler 300 Sedan is a fantastic luxury option for all types of classy events. 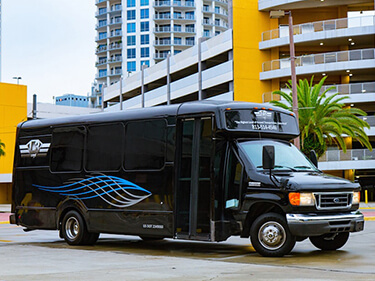 There's no better way to celebrate in and around Tampa than with a sophisticated sedan to travel in. Our customers use this vehicle most often for airport services, as well as tourists taking tours of the city, and more. Book it now for a fantastic time in Tampa! 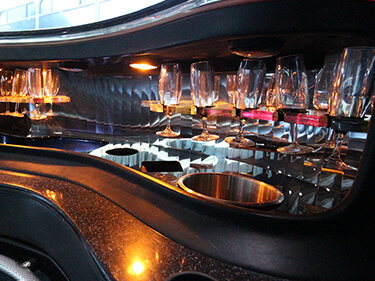 This Tampa Limo 15 Passenger Limo Bus is under the brand name of Mercedes, and you'll find the sophisticated nature of that brand left its mark throughout this vehicle. Enjoy the handcrafted leather seating, premium bar areas, professional stereo system, hardwood flooring, ambient neon lighting throughout, and more! Behold, one of our most popular limo buses! This limo bus is a great option for events such as weddings, bachelor and bachelorette parties, birthday celebrations, bar hopping, and more. It has everything you could ever want, such as dancing poles, user controlled neon lighting, professional leather seating, bars with ice, and televisions! 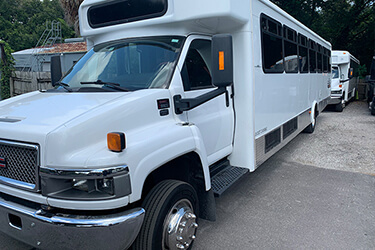 A Hummer H2 SUV is a fantastic limo option when it comes to renting a sporty vehicle for a mid-sized group from Tampa Limo. 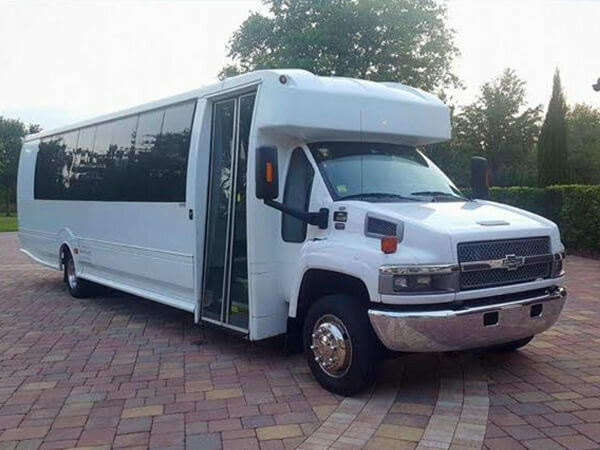 This impressive vehicle has enough room for up to 20 passengers in your group, plus plenty of headroom and comfortable seating to enjoy. 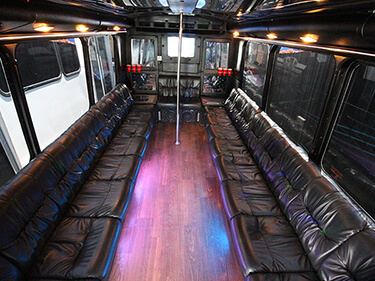 It's an option for just about any occasion, super popular for proms, bachelorette parties, and more. 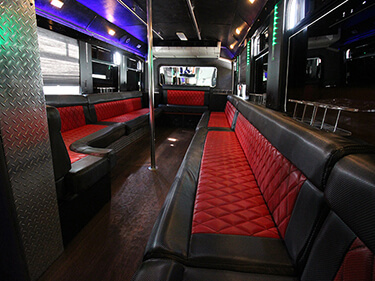 This is a great choice for all types of events and occasions! The ideal party bus for most groups hitting the town with us, this F550 has been custom built for up to 28 passengers to enjoy the trip. 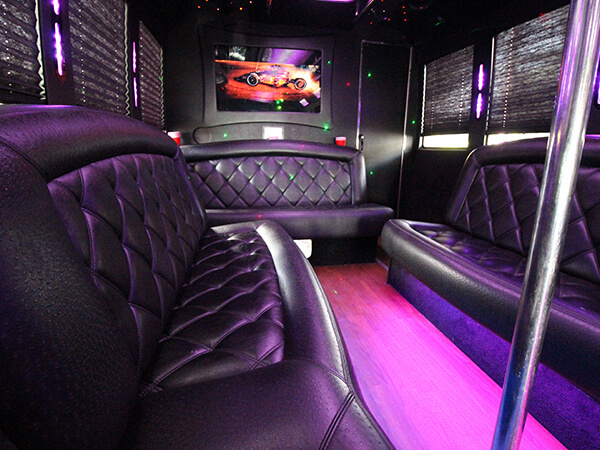 We have loaded this one with a 42" LED TV. the ability to connect your phone or iPod to the incredible sound system, a bar area built in and stocked with ice for your, as well as 2 dancing poles. Be sure you book this one well in advance as it is an extremely popular member of our fleet, especially during wedding season. 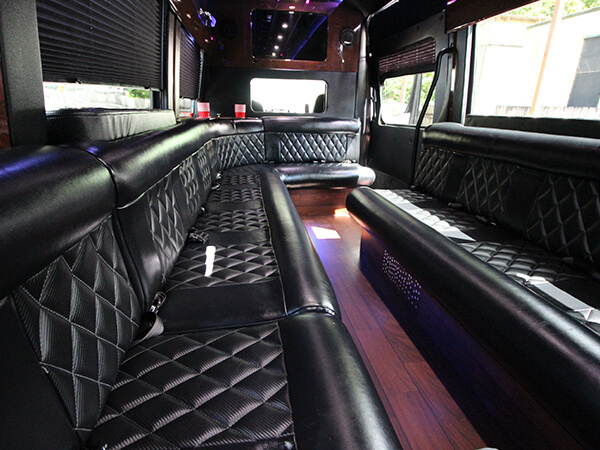 This black beauty seats up to 30 passenger, with it's sleek black exterior it's great for any occasion. 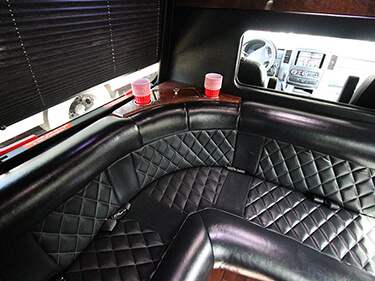 Featuring a brand new top of the line surround sound system with powerful bass and clean high and mids. 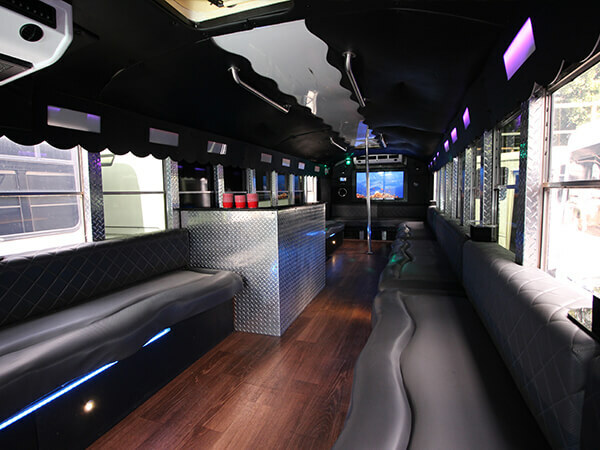 We also provide you with four wall mounted HDTVs, LED and laser lighting, a dance pole and this one even has a bathroom! You'll want to book this large limo bus for your long distance outings, you and your friends will be sure to love it. This large limo bus makes for the perfect bar hopping vehicle, it's also very popular for concerts and sporting events! Grab all of your friends and hop on this popular option. You'll have no trouble letting loose with an inviting dance bar, stripper pole, and a bar area equipped with coolers! You can have the time of your life while you tour the city. 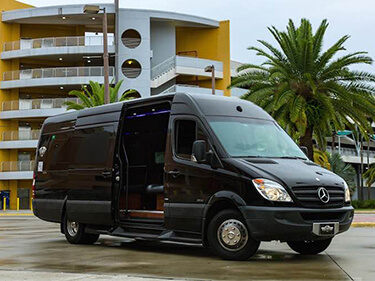 It only takes a phone call to reserve this vehicle or get your quick and easy quote. 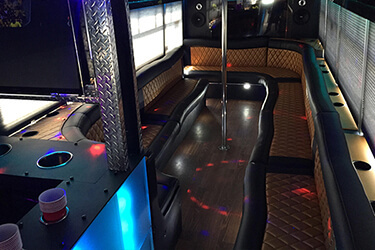 Widely regarded by our staff as one of their favorite luxury vehicles in the fleet this GMC based limo bus has a sharp, clean exterior with an absolutely gorgeous interior that every everything you could want for your mobile party. 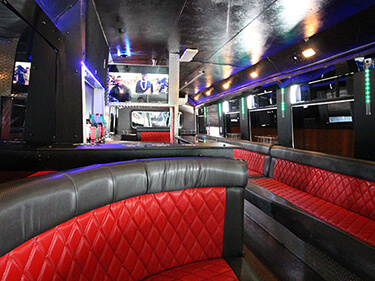 From our ultra comfortable two tone seating to the full wet bar, a user controlled light show, 4 high definition screens with an intense 5000 watt stereo and even a PS4. 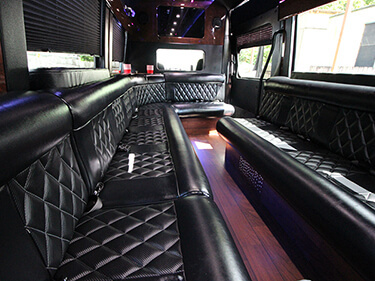 You'll love the time you spend in this luxury vehicle. Take the club with you where ever you go. 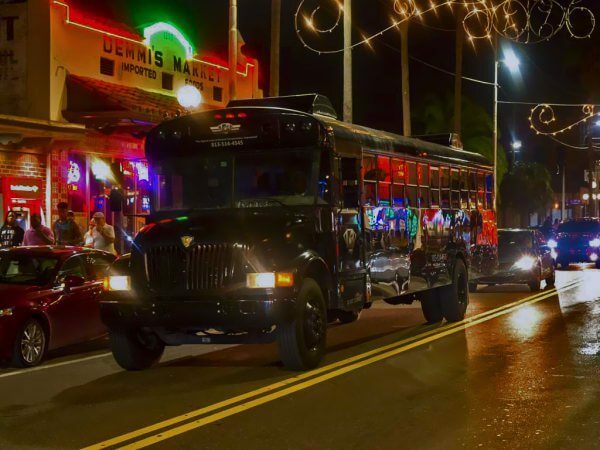 Your fun doesn't have to stop when you hit the town with us. This giant 40 passenger bus can be your club on wheels between your stops. 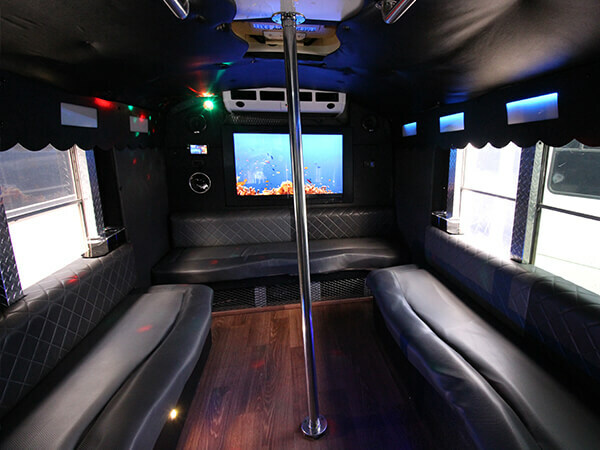 Dancing room, a dance pole, color changing lights, loud stereo system, and a great full service wet bar area are sure to please you and your friends no matter the kind of event or occasion for your next upcoming trip, this vehicle will certainly meet all your needs. Wow! 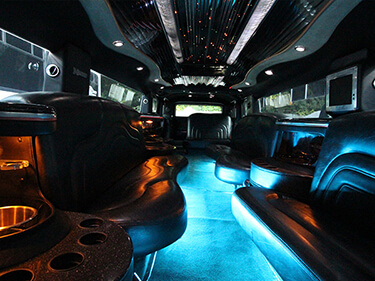 We bet that you've never experienced a vehicle quite like this before! 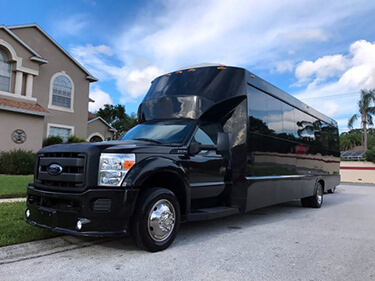 There's no better way to have a great time in Tampa than by renting a vehicle of this size and stature for you and all of your friends and family to have an amazing time. 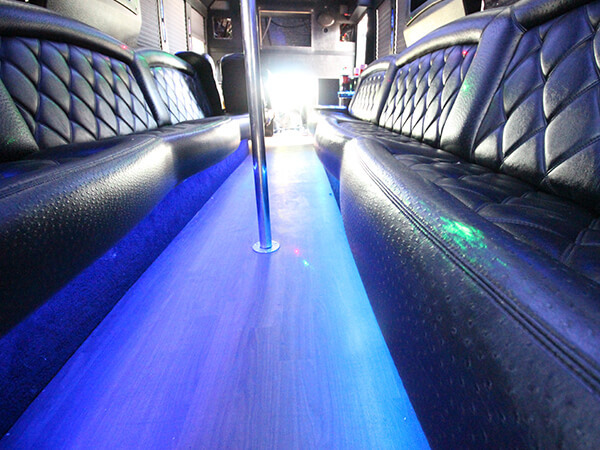 It's more like a mobile nightclub than a limo bus, so you'll have a great time partying on it. 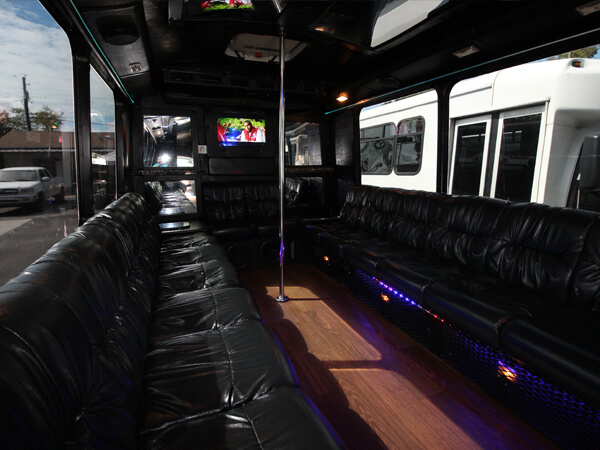 Be sure to bring your iPod to plug into the brand new stereo system or kick back and watch one of the 4 wall mounted HDTVs. The biggest of all the vehicles in our entire fleet, and you will be hard pressed to find a bigger one on the road, this massive bus has room for up to 45 passengers to have the time of there life. This beast is also a beauty with extremely comfy seating for all of your guests, tons of lighting options. 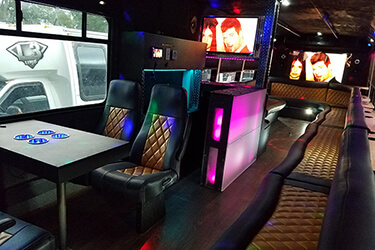 In addition to all the media options, and built in bar area all of our buses you will be happy to know this one also include a bathroom perfect for long trips.